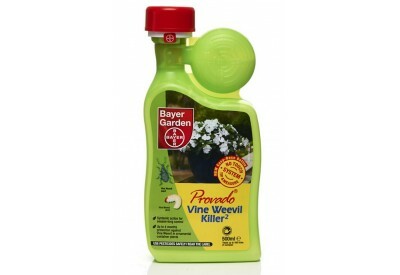 Bayer Garden Provado Vine Weevil Killer is systemic and kills a wide range of pests. 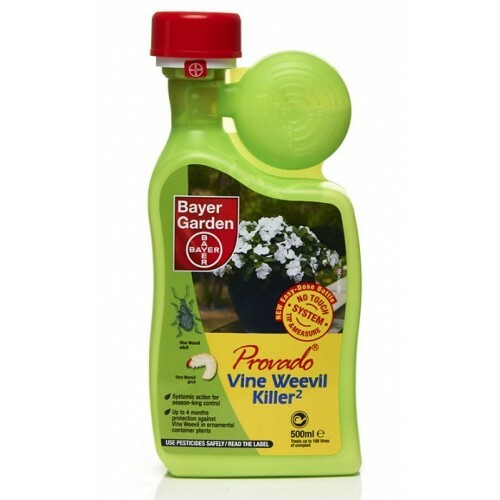 You can use Provado on all ornamental plants in pots and container indoors and outdoors. It keeps working inside the plant to give useful reduction of Greenfly, Blackfly and Whitefly for up to 4-6 weeks, and Vine Weevil grubs up to 4 months. On house plants even difficult pests like Woolly Aphids, Whitefly, Scale Insects and leaf eating beetles such as Lily Beetle can be controlled.